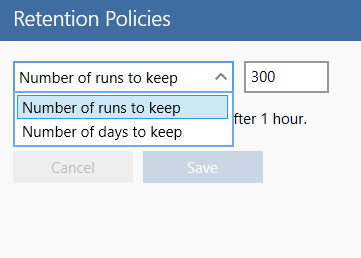 These settings allow you to configure the data retention policies in LEAPWORK. Running a number of flows, for example every day, will produce an increasing amount of reporting data. In most cases, older data and especially reporting data about successful automation runs is not interesting after some time and can be deleted to reduce the need for disk space on the Controller machine.